Great summer fun for the younger ones. 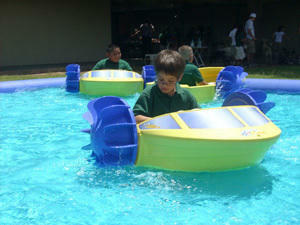 Our unique paddle boats allow kids to float in less than a foot of water. Unique addition to your Carnival or Company Picnic. Comes with Lagoon and 4 boats.